Soundproofing - Holz100 Canada Inc. Noise makes you ill - when building a house, it is important to plan rest. Holz100 is with its solid construction the best sound or noise choker. With double-shell wall structures and adapted ceiling constructions, Holz100 offers solutions far exceeding the requirements of the sound insulation standard. 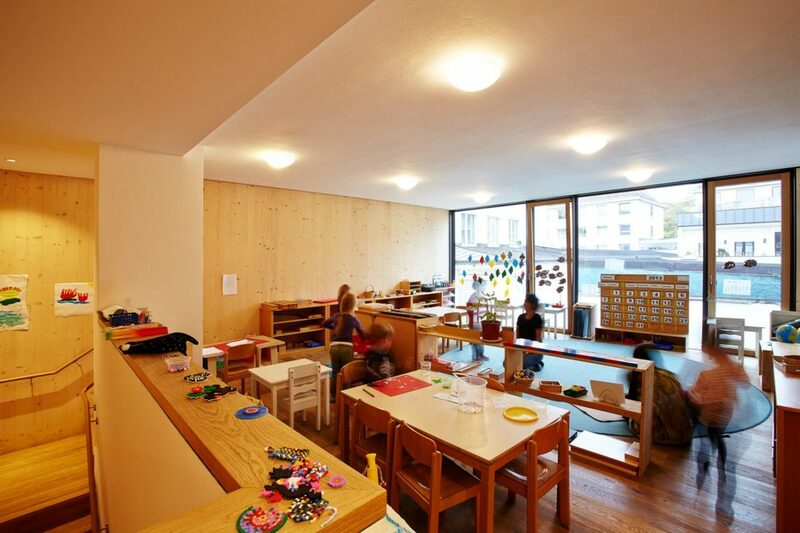 This Holz100 commercial building in Munich houses offices, a doctor's office and a day nursery for children. There are no problems with noise. The impairment of the quality of life through noise is a disruptive factor that affects many people. Noise disturbs the well-being, the ability to concentrate and the communication. Typical consequences of continuous noise are limited performance and a higher susceptibility to disease. In the case of a new building, considerable protection against noise pollution can already be effected in the planning phase without additional expenditure. Acoustic windows are only part of the measures. The highest degree of protection is achieved when choosing the right building fabric. Prefabricated houses in lightweight construction offer only low noise protection and brick or concrete walls are sometimes even very good (ie harmful) "sound bridges". The best solution is provided by solid wood - provided that it is processed correctly. Solid wood is the best sound or noise eater. In the past, wooden houses were considered to be clairaudient - and almost everyone can tell an amusing anecdote about thin hotel walls. Thanks to the Thoma Holz100 walls, which have been awarded numerous innovation prizes and certificates, the exact opposite can now be experienced. Wood becomes the building material for the most peaceful recreation homes. In Längenfeld / Tyrol is probably the quietest wooden hotel in the world - the Waldklause. Here, a sound insulation was measured, which is twice as high as the standard values ​​demand.